The Liberation Tigers and the Sri Lanka army held discussions Wednesday afternoon on restoring relations in the Batticaloa and Amparai districts in Vavunathivu, 5 kilometres northwest of the Batticaloa town. 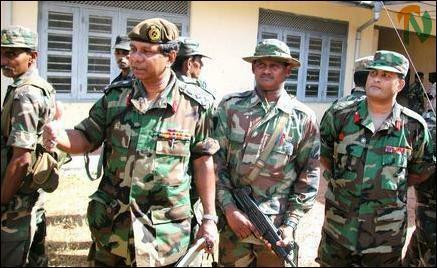 Col. Thambirajah Ramesh, the Special Commander for the Batticaloa-Amparai District, led the LTTE delegation. Head of the Sri Lanka Monitoring Mission, Maj. Gen. (ret) Tronde Furuhovde chaired the meeting. 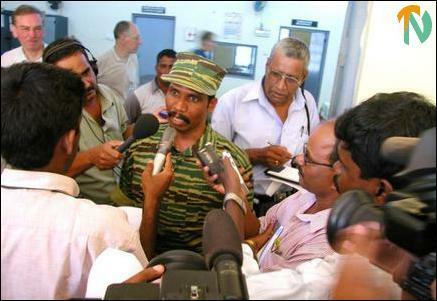 Asked whether the issue of renegade LTTE commander Karuna’s whereabouts was raised at the meeting, Col. Ramesh and Maj. Gen. (ret) Furuhovde replied in the negative. Brigadier Vajira Wijeyagoonewardena, General Officer Commanding (GOC) of the Sri Lanka Army’s 23 Division, led the SLA delegation. Col. Ramesh and Brigadier Wijeyagoonewardena agreed to meet regularly in the future in addition to agreeing on other topics related to the cease-fire agreement (CFA). 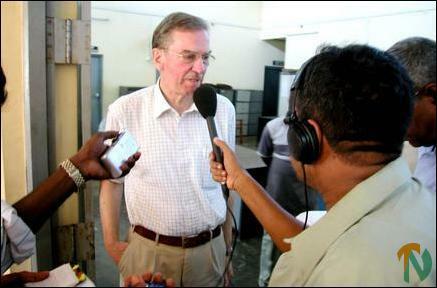 “Both parties agreed to continue to uphold and respect the CFA”, the head of the SLMM told TamilNet. The LTTE delegation comprised Col. Ramesh, Mr. Ram, deputy special commander Batticaloa-Amparai District, Mr. E Kousalyan, head of political division Batticaloa-Amparai District, Mr. Bavan, Liaison Officer, LTTE Peace Secretariat, Kilinochchi, Mr. S. Nagesh, an LTTE military commander, Mr. K. Ramanan and Mr. V. Jeyarthan, Special Commander of the Jeyanthan Regiment.